Sometimes simplicity is the best form of satisfaction. Throw yourself at Exhibit A for an easy drinking and refreshing Riesling. Oh this is a joy. A delicate and pretty Grenache - savour every drop. A solid McLaren Vale Shiraz. A full bodied wine sure to satisfy those who like their Shiraz big. A wine which carries a type of mystique. Soft and delicate, it's applause worthy. Four unusual bedfellows in a blend that just seems to work. Generous and more than delicious. With a twinkle in her eye as she shares her family’s story, you can’t help but embrace the passion Judy Watson has for those that came before her and what she and her siblings have accomplished since. Judy, Schild Estate’s Family Proprietor and Brand Ambassador, has the room in the palm of her hand. “Schild Estate celebrated 150 years in 2016,” she says with an infectious grin. 1866 was the year her great great grandparents arrived. The more she talks, the more the transformation of the brand since those embryonic days seems to be nothing but impressive. Chardonnay from the southern end of Margaret River. Top drinking - leap in. What a beauty! Shiraz to catch you by surprise - it certainly caught me on the hop. A treasure. Lots of bang for buck factor in this little package. Mudgee Shiraz with 16 months bottle age prior to release. Here's a good get. Pretty tasty drinking sure to satisfy. A lazy night in front of the TV and a glass or two of this will do just fine. Margaret River Pinot Noir are four words not normally seen beside one another. This is a fab rendition of a dry, savoury Rosé. Shiraz is a new addition to the Spice Trader range. A solid partner for a steak and veg meal. A crowd-pleasing Rosé made from a blend of Sangiovese, Black Muscat and Syrah. Hunter Valley Shiraz is a beautiful thing. Deliciously medium bodied, it curls up and rests easy for your enjoyment. These Iron Cloud wines just turned up at the door one day. No note, not deets - pretty handy wines regardless and I'm pleased I've had the fortune of having a look at something new to me. What the difference a year makes. After checking out the 2015, this is almost another wine entirely. The Opera Block sits beside the winery and behind the stage where the annual Opera In The Vineyard is held. I'm happy to be corrected but I'm pretty sure the Opera Block is also part of the Adopt a Vine scheme. Good drinking Pinot Grigio from Frankland River which many will find appealing. 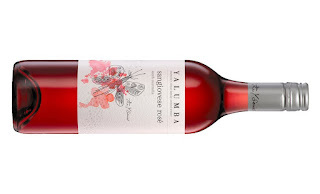 Fruity Pinot Noir Rosé from Tassie. A simple drink but one which is set to please with the refreshment factor high. Granite Belt Merlot with whiffs of cherry ripe. Nebbiolo turned on its head and made to drink sooner rather than later. I see what Dylan Rhymer is out to achieve - a wine in a good place. The last of the Y Series samples to taste, and again, the quality does not disappoint. This Pedestal range from Larry Cherubino is top stuff. Really enjoyable drinking without burning a hole in your back pocket. Sauvignon Blanc from Margaret River. Pretty in the glass with a pale pink salmon kiss, here's a tight and focused Pinot Grigio from the Yarra Valley. Smashable is how I have described this wine in the past. It seems the Witches Falls customers may think the same thing - the sold-out sign has already been posted for this vintage. I can see why. Riesling from three different sites in Porongorup, Franklin River and Mt Barker. An easy drinking entry level Riesling from the Canberra district. The flagship for Hayes Family Wines to be released in September 2018. Premium Barossa Shiraz to be held in two hands. Smashing Riesling. Perhaps I just leave the review at that. Terrific drinking hands down. A pleasure to drink. Gorgeous Cabernet from the Yarra Valley - a variety from the region which very much sits in the shadows of Chardonnay and Pinot. I was so close to Derwent Estate a few months ago when wandering the sights of Hobart. I now wish I just popped down the road from the neighbouring vineyard, but time wasn't my friend that day. This is a beautiful Chardonnay - thank you very much. 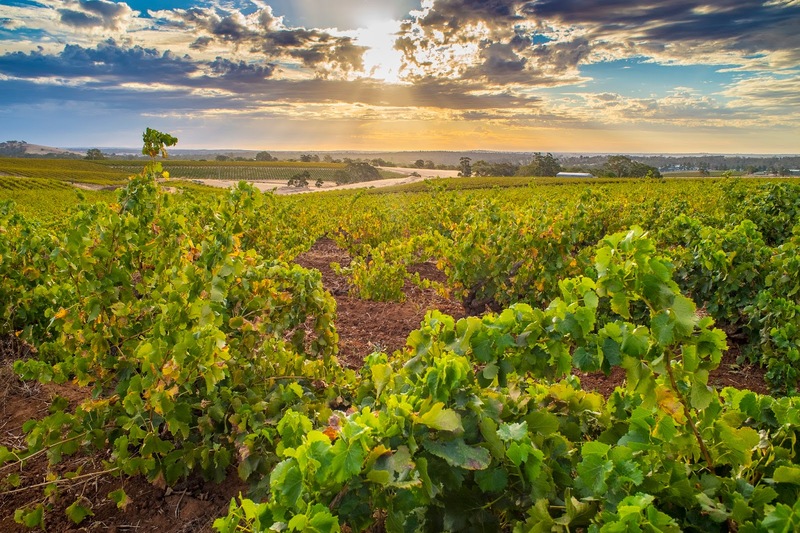 There's plenty of ever-reliable Coonawarra reds pitched around the $20-25 mark. Here's one that comfortable resides in that mould year after year. Always a reliable performer, this is a great intro for those seeking to immerse themselves in the delight that is Tassie Pinot. I'm sure Los Companeros means, "Get me a freakin pizza and quick!" Easy drinking red for lazy meal. Chardonnay from Orange ticking the boxes. A neat package with delicate fruit oozing easy drinking. A traditional method Blanc de Blanc from Queensland's South Burnett - three hours north-west of Brisbane. With a climate not too dissimilar to the Hunter Valley, cool nights and fertile soils in prime dairy cattle land have enabled good fruit to be grown. I've been a fan of this wine in the past, but the 2015 seems to have dropped its form line. A fair drink, it comes across quite polished, but not in a fine and class way - more of a prettied up kinda way. If you want great Aussie Sauv Blanc, be sure to head to Orange, NSW. There's so much goodness in those hills. Another high five for the team at Yalumba. Yet another winner from the Y Series range. A pretty easy wine to kick back with. Quite a popular Rosé for the price point too I'm lead to believe. A big Cabernet from McLaren Vale. Off old vines, it's dense (very dense) but I'm in two minds about it. This is a face plant into a punnet of blueberries - and I don't want to get up. What a brilliant Shiraz! Barossa Valley Cabernet off 26 year old vines grown using organic principles. Good gear with a spring in its step. Dang! Is it rude to call on the cooler weather already? Sumptuous reds like this call for a hearty meal or a comfy chair in front of a fire. Big love for this. One for the skin contact wine freaks out there. A left-field wine for sure which will either have you squirming or in love.